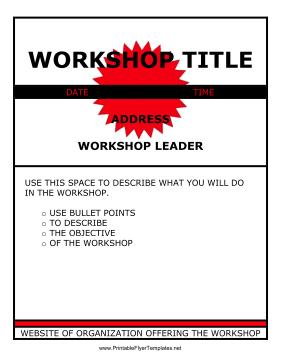 This attention-grabbing workshop flyer was designed in black and red for maximum visibility. It features space for a description of the workshop, and can be adapted to suit many different types of events. Next time you are organizing a workshop, be sure to give potential participants plenty of time to reserve their spaces by sending out this flyer!